Trout Rock Lodge under Enodah Wilderness Travel has catered to anglers from all over the world for more than two decades. Their mission is plain and simple; to offer the most incredible northern pike fishing in the world. That’s why anglers come to Great Slave Lake with very high expectations and they never leave disappointed. Monster Pike are everywhere! Hooking 60 northerns a day in the month of June is practically automatic; 40 will be over 36”, and 10 will be over 40” with two pushing the 50” trophy line. The pike fishing here is truly amazing in every way. 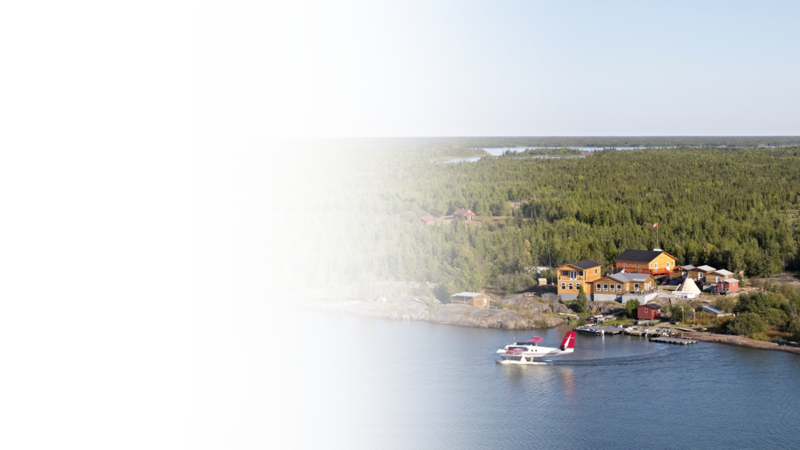 The lodge location in an archipelago formed by thousands of islands which protects some of the most expansive northern pike habitat on earth.There is an abundance of bait fish, no fishing pressure, great catch and release policies which were established by host Henry Waszczuk on his first visit over 20 years ago. The northerns here indeed have a perfect habitat, thousands of unexplored islands and shallow weedy bays, and a world famous lake that is 300 miles long. 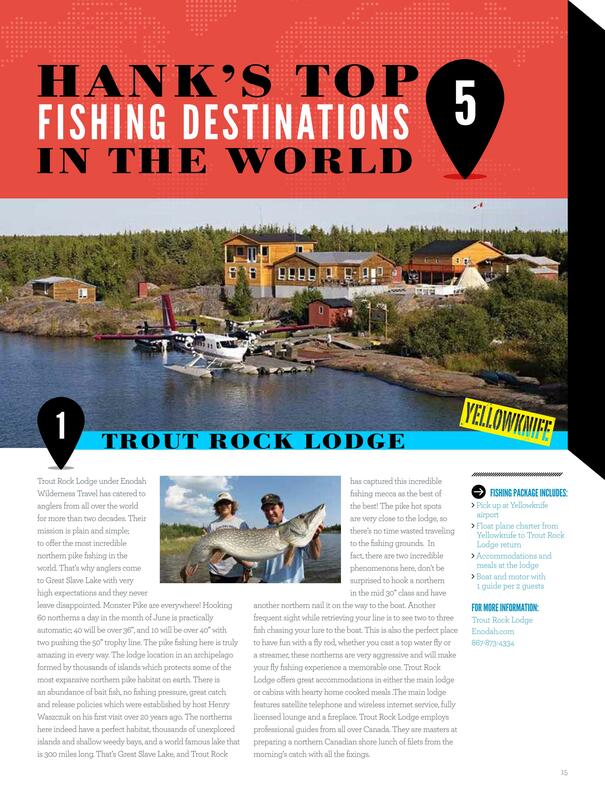 That’s Great Slave Lake, and Trout Rock has captured this incredible fishing mecca as the best of the best! The pike hot spots are very close to the lodge, so there’s no time wasted traveling to the fishing grounds. In fact, there are two incredible phenomenons here, don’t be surprised to hook a northern in the mid 30” class and have another northern nail it on the way to the boat. Another frequent sight while retrieving your line is to see two to three fish chasing your lure to the boat. This is also the perfect place to have fun with a fly rod, whether you cast a top water fly or a streamer, these northerns are very aggressive and will make your fly fishing experience a memorable one. Trout Rock Lodge offers great accommodations in either the main lodge or cabins with hearty home cooked meals. The main lodge features satellite telephone and wireless internet service, fully licensed lounge and a fireplace. Trout Rock Lodge employs professional guides from all over Canada. They are masters at preparing a northern Canadian shore lunch of filets from the morning’s catch with all the fixings.